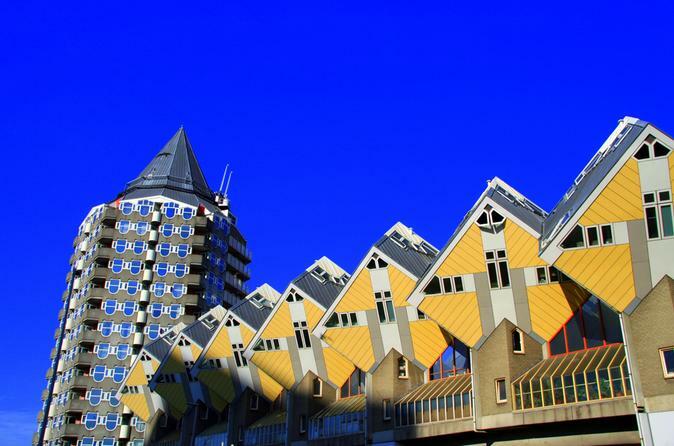 A multi-faceted city with layers of history, Rotterdam is one of the most intriguing cities in the Netherlands. 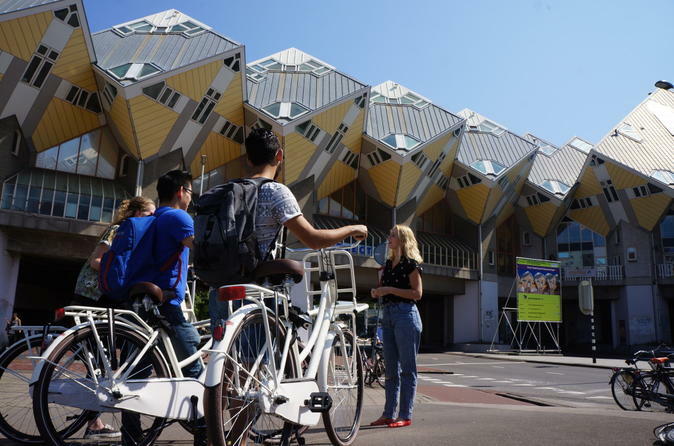 This customizable private walking tour reveals Rotterdam’s true character, from its reconstruction after World War II to its busy cargo port, the largest in the world. Admire the city’s modern architecture, like the eye-catching Cubic Houses, against aging buildings that survived the war, like the old town hall. Stroll around the Old Harbor (Oude Haven), see Rotterdam Central Station, Markthal Rotterdam, Kunsthal museum and the Museum Boijmans Van Beuningen, and end with a relaxing cruise along Rotterdam Harbor. See Rotterdam, the Dutch port town, at leisure on a City Sightseeing hop-on hop-off tour. As you travel around the city by open-top, double-decker bus, create your own itinerary and visit the sights that interest you most. Learn about key attractions from the audio commentary, see the Euromast space tower and pay visits to renowned museums such as Rotterdam’s Natural History museum. Choose from a 24- or 48- hour ticket, and enjoy a bonus 30-minute bike rental and a coffee at Market Hall. On this private 3-hour Rotterdam walking tour you will see all the pretty sights the city has to offer. Your personal guide will show you the modern and historical side of Rotterdam, see sights such as the new Markthal (marketplace of Rotterdam), Old Harbor and the Rotterdam Central Station. 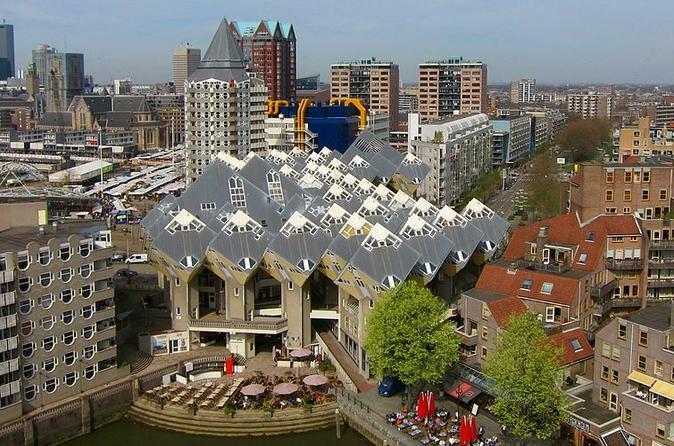 We are also going to visit the Show-Cube museum and much more to make your Rotterdam tour a day you won't forget! 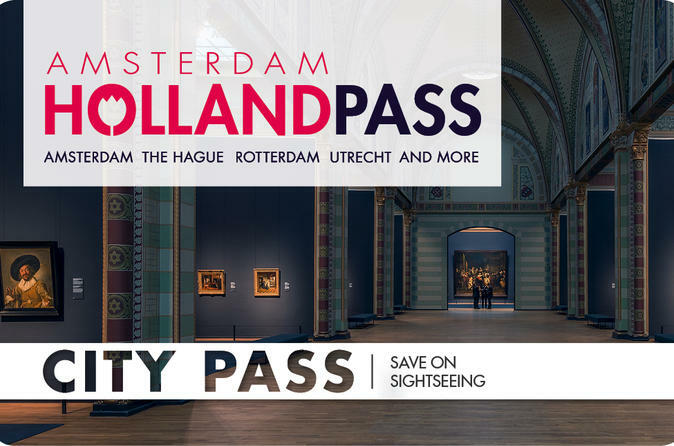 With the Rotterdam and Holland Pass, gain free or discounted admission to must-see attractions and museums in Rotterdam and other popular Dutch cities including Amsterdam and The Hague. 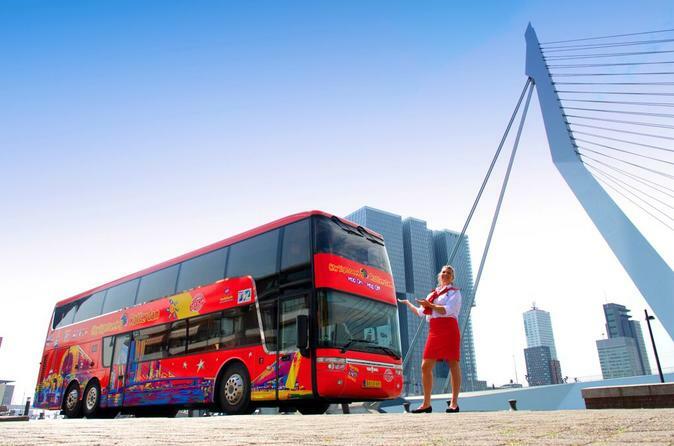 Valid for one month, this is the only city sightseeing pass in the Netherlands that gives you skip-the-line entry to top tourist attractions including Keukenhof Gardens, Rotterdam Maritime Museum, Euromast and the famous Cube houses. Choose from several ticket options, and enjoy a hop-on hop-off sightseeing tour or Amsterdam canal cruise as an added bonus. Looking for the best experience in Rotterdam? It is a fun and easy way to discover the city. A local guide will take you on brand new, easy to ride white bikes to highlights and hidden places in Rotterdam. Get transferred in style from your hotel in Rotterdam to Amsterdam Schiphol Airport. Our professional team of chauffeurs will comfortably and accurately transfer you to Amsterdam Schiphol Airport making sure you will arrive on time at the correct terminal. Don't allow low level transportation companies to spoil your holiday experience and please allow us to accommodate you with the finest transportation service Rotterdam has to offer! Join this 3-hour private walking tour of Rotterdam and learn about the city's unique architecture. 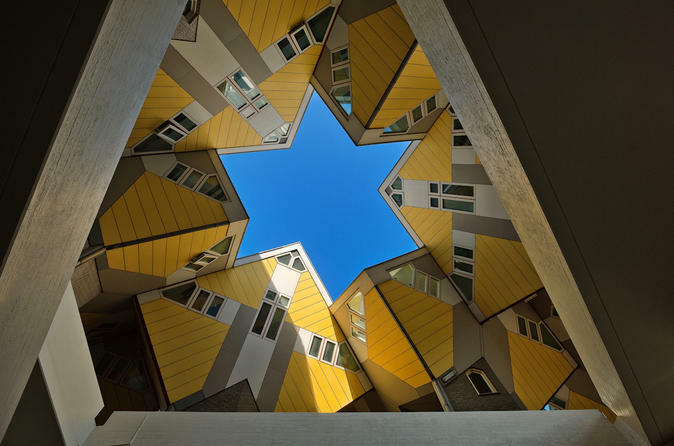 Explore Rotterdam's amazing architecture and see building such as Markthal (marketplace of Rotterdam), Rotterdam Central Station, the famous cube houses of Rotterdam and much more! 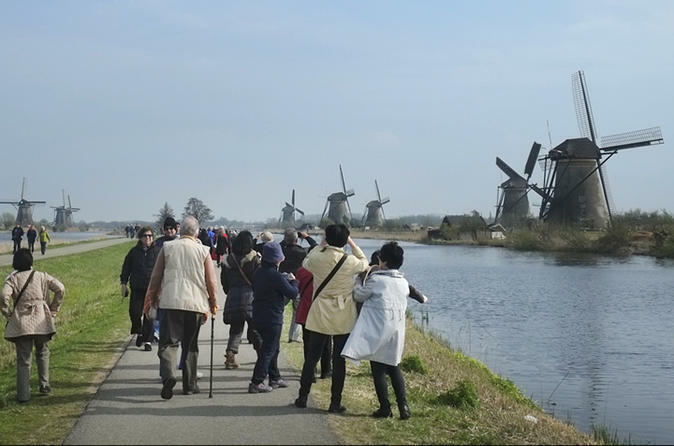 Discover historic Kinderdijk in style on this 5-hour guided private chauffeured sightseeing tour from Rotterdam to the Windmills of Kinderdijk along with a visit to a classic Gouda Cheese Market! Enjoy the comfort of a chauffeured Mercedes-Benz E-Class, V-Class or S-Class 2015 and make the best of your stay in Rotterdam!